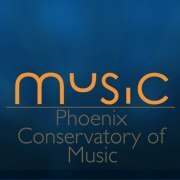 Our Network partner, Phoenix Conservatory of Music, recently received $120,000 in support from the Pulliam Trust for their City Music program over the next three years. The Trust just finished its first round of grants for 2013, awarding $2.234 million to 26 Arizona nonprofits. The Phoenix Conservatory’s grant request–allowing them to serve more students–was a good example of a change we have noticed: groups are seeking funds less for basic operations and more for program growth. After so much contraction over the last five years, it is good to see creative expansion again, especially in children’s programs that prepare Arizonans for a better future. PCM is dedicated to providing music education opportunities to undeserved individuals and communities in the greater Phoenix area by providing music classes to schools and community centers and private lessons at their offices.